German Chancellor Angela Merkel and her Interior Minister Ernst Seehofer are clashing on the subject of immigration again. Mr Seehofer, who is actively campaigning for the regional elections in October to get the CSU to hold off the strengthening AfD in his Bavaria region, said that “Immigration is the mother of all political problems,” in a clear reference to the events in Chemnitz and other German cities of the past few weeks where pro- and anti-immigration rallies took place (just yesterday saw mass protests in the northern metropolis Hamburg again). The German Interior Minister Mr. Seehofer, in an interview with the Rheinische Post yesterday, claimed that "many people now associate their social problems with the issue of migration," adding that if Germany didn't change its migration policy, major political parties would continue losing ground. The CSU top politician who has clashed with Ms. Merkel before said that the "order of humanity" in Germany was at stake with the political concerns of migrants and native Germans. 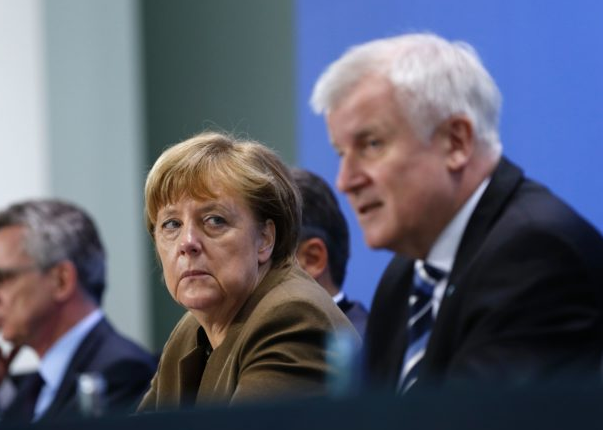 Mr. Seehofer has in the past repeated sought to get Ms. Merkel to swing further to the right on the issue of immigration and see off the AfD challenge. Ms. Merkel reacted later in the day to this interview saying that ‘she saw it differently’ and that the protests in Chemnitz showed both people "filled with hate aimed at other people" and "how people stand up to xenophobia and racism." "It is a tense situation in which, I believe, everyone needs to take a position."